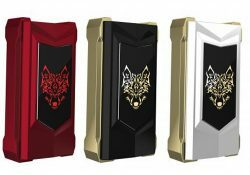 The Snowwolf Mfeng Box Mod Limited Edition features 200 watts of power, a full color display, a luxurious design, bypass mode and temperature modes including TCR. 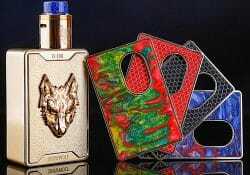 The Vfeng is Snowwolf's latest high power box mod. 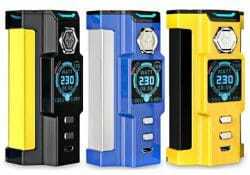 It features up to 230W of output, a unique robot-like design,a 1.3" TFT screen, a changeable LED, utilizes two 18650 cells and is available in black, yellow or stainless steel. 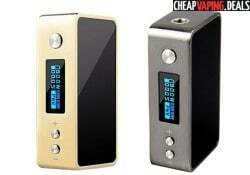 This tiny bundle features an exquisite design, 100 watts of power, a full temperature control suite, TCR mode, a 0.91" OLED display, micro USB charging, firmware upgrades, a single 21700/20700/18650 battery, a 5mL juice capacity, WF mini coils, a wide bore delrin 510 delrin drip tip and dual bottom adjustable air slots. 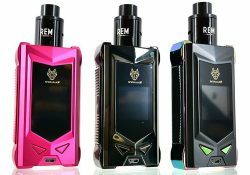 The SnowWolf R 200W TC Box Mod features 235 watts of output, a full temperature control suite, dual 18650 battery compatibility, a 0.91 inch display and resin faceplates. 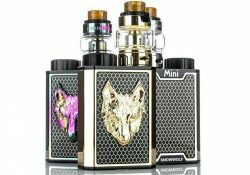 Check out these deals and coupon codes for the Snowwolf Mfeng Baby Kit with Wolf Mini Tank. 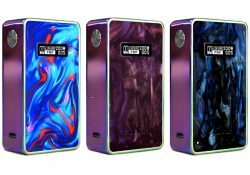 This setup features a 2000mAh integrated battery with charging system, an exquisite appearance, a compact design, a display screen, a full temperature control suite, a top fill ssytem, a 5ml juice capacity and WF Mini Coils. 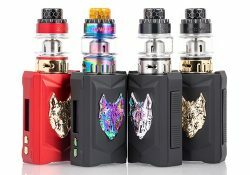 The Snowwolf Vfeng-S features new colors, a lower price, lower minimum resistance, 230 watts of power, a robot type appearance, a 1.3" TFT display, customizable LEDs and dual 18650 batteries. This starter kit features tons of power, accurate operation including temperature control, beautiful finishes, a 7ml squonk bottle, fast 2.5 amp charging and accepts a 21700, 20700 or 18650 battery. 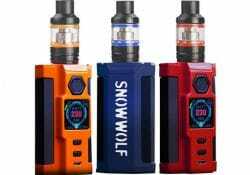 The Snowwolf C Mod features 200 watts of power, touch sensitive adjustment buttons, temperature control mode including TCR, 2 DIY taste modes, dual 18650 battery support and a micro USB charging system. 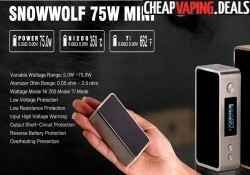 The Snow Wolf Mini has a new version that now features 90 watts of power, instead of 75W. It is available in two different colors: gun metal and gold. 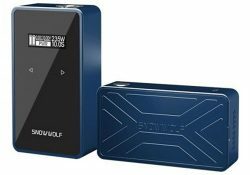 The Snowwolf Mini Box Mod performs and looks almost identical to the 200w Snowwolf, except it has a more compact design. It uses the top-of-the line GX-75 chip. At 75 watts, the Mini still delivers plenty of power and high wattage, making it perfect to take out with you on your night out. 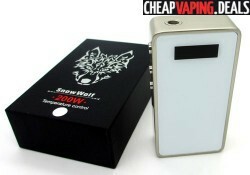 The Snow Wolf 200W is a state-of-the-art box mod which utilizes amazing technology. It features advanced temperature control mechanics, a magnetic battery panel and can fire any device up to 200 watts.